Vintage Conway Stewart model 84 from the 1950s. Marbled blue with gold plated trim. 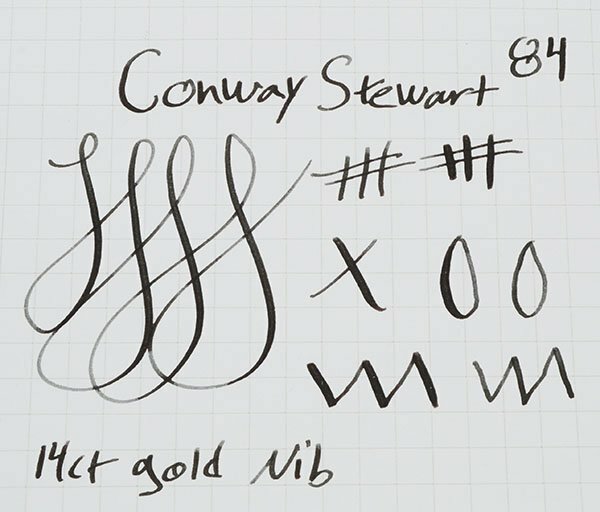 14k Conway Stewart medium cursive italic semiflexible nib. Excellent + restored condition. 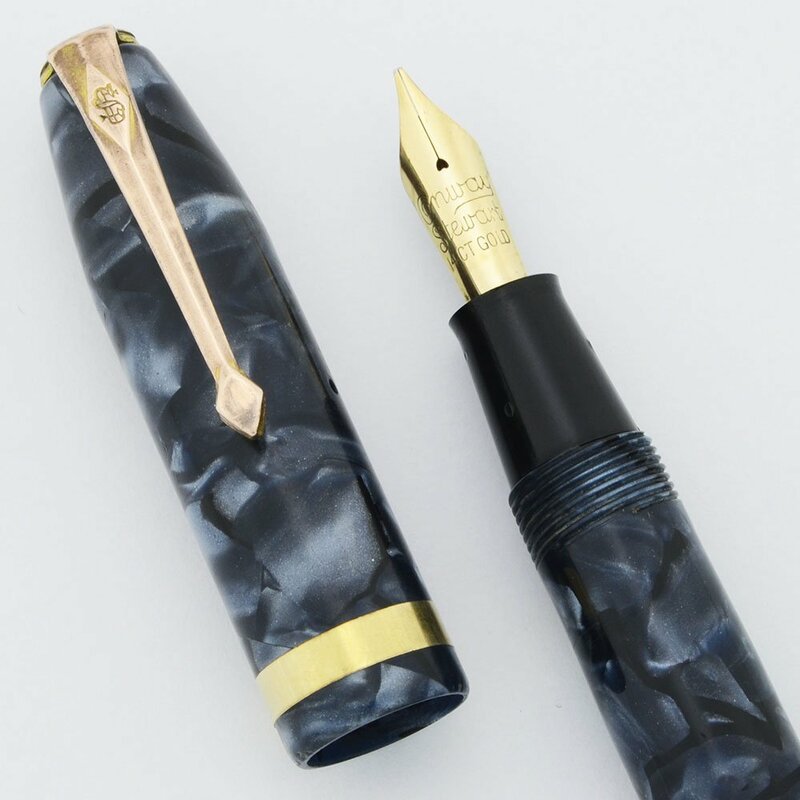 Type Lever filling fountain pen. Manufacturer and Year Conway Stewart, made in England -- 1952-63. Filling System Lever filler. We replaced the bladder and it is working well. Color Marbled blue design. It is a mix of gray-toned blues. The section and cap jewel are black. The cap has a 1/8" wide smooth cap band. The trim is gold filled. Nib Medium Flexible Italic 14k Conway Stewart nib. The tipping is a bit square at the ends for subtle line variation without pressure. The tines also spread a bit for good line variation overall. See the writing sample below. Condition Excellent condition. No dents, chips, scratches, or personalization. The imprints are clear. There are a few bite marks on the section and there is some brassing on the clip and lever. The pen works very well.